Many ads on the internet promise incredible gains in a short amount of time with minimal work. For some this is achievable. However for the majority of people, the journey is going to be long and hard. Some people can achieve incredible gains in a short amount of time, however most people take much longer. If you are like most people, then your journey towards bulking up and gaining weight will be long and hard. You will have to put in a lot of effort and the gains will be minimal from week to week. However over the course of a long period, you will see results. You just have to persist and keep at it. With hard work, you will see results. 2) We are all different. What works for one person might not work for another one. No two people are alike. We all have different backgrounds,different body types, and other things. That’s why the optimal training for one person is different from the optimal training for another person. There is no “best” way. What works for one person, might not work for another one. So you will have to sometimes try different things in order to find what works the best for you. When you look at bodybuilding magazines, a lot of times they have these routines for professional bodybuilders. These contain hundreds of different exercises for different body parts. A lot of beginners look at these and think that’s what they should be doing. They follow these routines and then wonder why they are not seeing any gains. What works for a pro bodybuilder is not going to work for a novice at the gym. 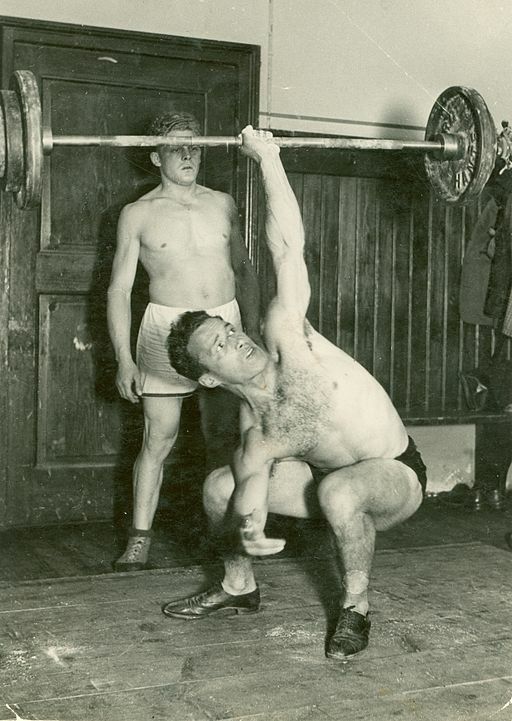 A beginner should be following a totally different routine from that of an advanced lifter. 3) Don’t lift through your injuries. If you are injured, take a break. Sometimes people don’t want to accept that they are injured and keep doing things despite their injury. Then they create even bigger problems for themselves. If you are injured, then stop and take a rest. Heal the injury and come back once you are better. Also if some sort of an injury is preventing you from doing some type of exercise (for example squat or deadlift), do an alternative instead. Due to the nature of our society, where we sit all day, some people have developed permanent injuries, which are hard to get rid of and prevent them from doing a full-blown lifting workout. If such a structural injury is preventing you from doing for example a squat or a deadlift, then find alternatives to do. Remember, there is no shame in that. 4) Setbacks will happen. Learn to accept it and be ready to come back once the setback is overcome. You are going strong, lifting regularly, seeing significant gains, feeling happy and motivated. And then one day, “boom”, something happens that prevents you from continuing. Be it an injury, sickness or some unexpected event, things happen and make us unable to continue. It’s unfortunate, but such is life. You have to deal with it. There is no point in going back and fretting about it (and thinking over what you could have done differently). It happened and unfortunately you can’t do anything about it now. For example I had recently undergone an ACL surgery to repair my ACL, which I had ruptured previously. This has taken me out of commission for a long time. Previously I had a similar setback, when I almost lost my eye. Both times, I was in the best shape of my life, motivated and going strong. With these types of situations, you have to learn how to deal with them, wait them out, and then come back strong. Think of ways of how to overcome the problem and once you can, go back to the gym and get back to your routine. 5) Don’t try to do too much. Just lift what is possible. Some people try to do too much. Some novices go into the gym, rack up the heaviest weights they can find, thinking that they can lift them and then almost kill themselves when trying to lift them (sometimes even injuring themselves). Instead start off slow. Figure out what you can lift. Practice and then once you have mastered that weight with proper form and it is no longer challenging, move onto a higher weight. You grow by progressively lifting heavier, but you need to start at the proper starting line for you. 6) Good form is everything. When lifting, proper form is very important. In order to get the maximum impact from an exercise and minimize injuries, you need to do it with proper form. Before starting to do an exercise, learn how to do it properly. This is important if you want to see gains and prevent injuries. Some people think that putting as much weight on as possible is the way to go, but then do the reps with poor form. That is not the best way to gain muscle and can easily result in an injury. So remember to do exercises with proper form. Most experienced lifters will tell you that diet is very important. In fact probably even more important than your workout routine. In order to grow, you need to get the proper nutrients into your body. If you are not doing that, no matter how good your workout routine is, you will never see any significant gains. So remember to eat well.